January 1, 2012. 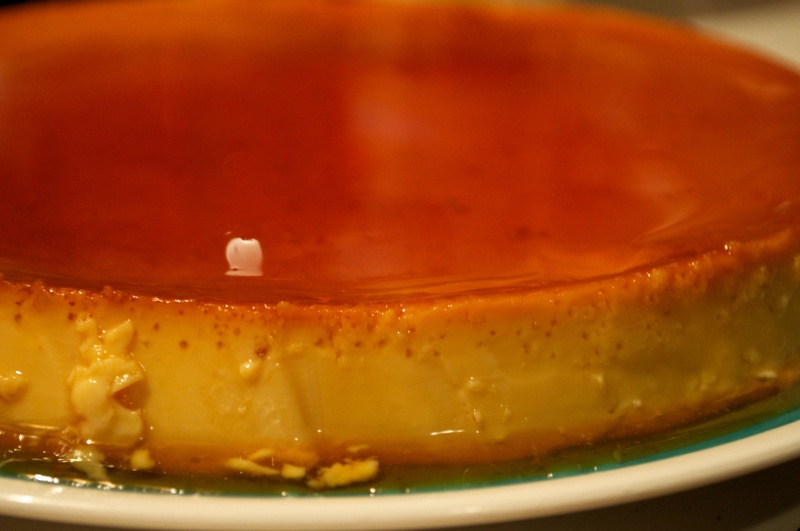 Leche Flan, my aunt’s recipe. Homogenized and evaporated milk, sugar, caramelized sugar, steamed in a wok.